The modern witch is empowered and determined, and she defies expectations at every turn. But even the most all-powerful sorceress sometimes needs a quiet moment to reflect, recharge, and maybe cast an enchantment or two. 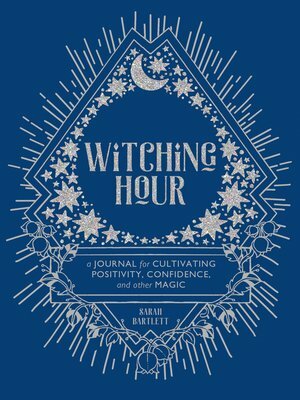 This guided journal encourages you to set aside time for your own personal "witching hour." Use the spells, charms, and incantations within its pages to conjure self-confidence, summon success, nourish friendships, banish negative thinking, and master the magic of self-love. It includes spells for productivity, career success, repairing relationships, attracting love, and tapping into your sense of purpose. Filled with mystical illustrations and plenty of witchy wisdom, this journal has everything you need to lead your best (and most magical) life. Sarah Bartlett is the author of several spiritual and occult books and is an astrologer for many women's magazines such as Cosmopolitan UK and the London Evening Standard. She lives in London and the south of France.